Although not climbing Everest, but from a distance, I already feel very satisfied, magical Tibet, am..
Tibet tour to attend this trip was very good, really great, amazing. <p>We are Canadian passport holders; Can we go this tour ? 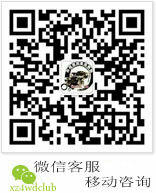 ( Sichuan to Tibet by 4WD ) If yes, Can w..
<p>&ldquo;I want to start off with a huge thank you to Tibet4wd.com. The have helped us immensely wi..
“Our Tibet Ging-Mad Travel club page is going excellent for us, I am in the process of getting every.. In China's Internet booking travel is for the first time, very perfect travel, I like Tibet, I like ..